We are very grateful to the Parador Hostal Dos Reis Catolicos and the Director Julio Castro Marcote for inviting us to create in the Parador Rexistro Km 0 Santiago documenting through photography and video the faces and stories of the Global Pilgrims’ as they arrive Santiago de Compostela and celebrate their Camino Journey Experience! We look forward to meeting you and hearing your Camino Stories!!! 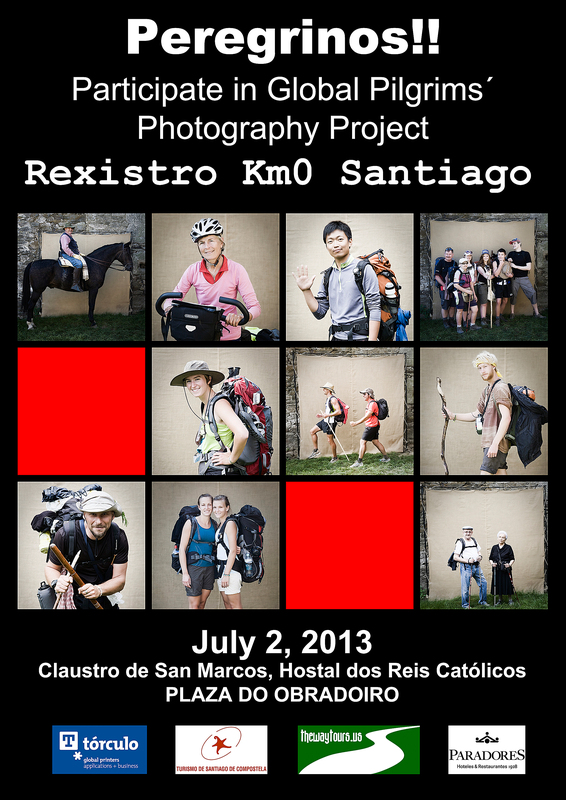 We hope that you will join us if you are in Santiago July 2, 2013 in the Cloister San Marcos in the Parador – Bo Camiño! This entry was posted in Camino Inspirations!, Camino Travel Tips and tagged camino, Parador Hotels, photography, The Way, traditions. Bookmark the permalink.